This is an email I shared with my creative newsletter friends. I’m stuck with two paragraphs of bleh and it’s already nine in the morning. Not a strong day so far. I think I’m blocked because I’m afraid. Afraid of disappointing or messing up. Afraid to put something out there and get crickets in response. This is just one of my many creative fears. Another is numbers. How many pairs of eyes I have looking at what I produce. For a while now I’ve avoided looking at the numbers that express the extent of my reach across the Internet. It is because I can’t help but compare. I can’t help but think they should be triple their size. Then there are the opinions. Whether it be my own -- “I can do better” -- or someone else echoing disagreement. Because of my personality, sometimes I can get myself to see both sides of the argument. I understand why she is enraged and he is disappointed. I see and feel for so many. Pause. Breathe. Go at it again. There is magic in producing “messed up” things, for they contain the dirty pieces of yourself that make everything you touch so unique. You and what you make are both art. It doesn’t matter what the eye of the consumer sees - it matters only if you feel that what you’ve made is enough for you. 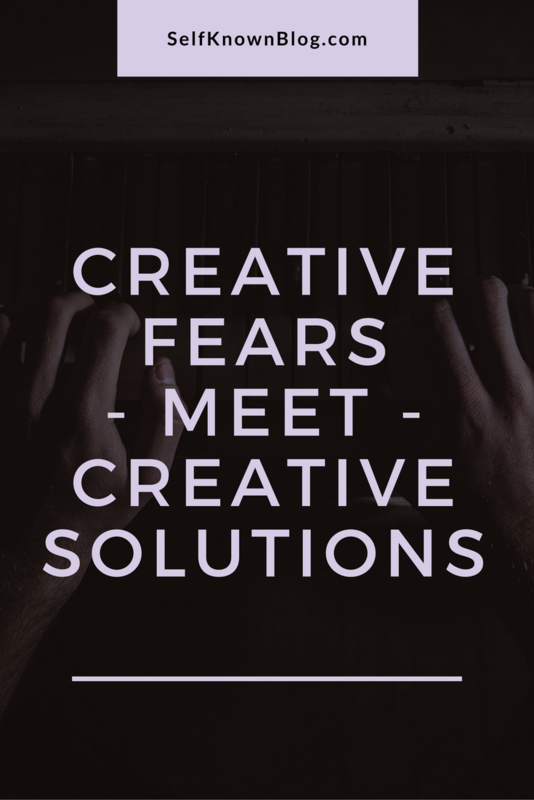 Face the fear of producing. And about the numbers. The smaller they are, the more personal the group and the better the connection you have with one another. Honestly? I would rather have ten amazing friends to tease and laugh with than one million people who sometimes click the like button. There is honesty and strength in small numbers. Face the fear of not being seen. Now, opinions. This is tricky because we are all entitled to our own. More specifically, you are allowed to form your own. If you see both sides, then you know the arguments. You know the pros and cons. Weigh them and build something. Decide what you are for (not against). But you don’t have to. That’s just my opinion. You can’t listen to everyone, my friend. At some point you have to step back and just be. Your creativity will spark. Your people will follow. Your support will reinforce itself. And it will not matter how afraid you were. 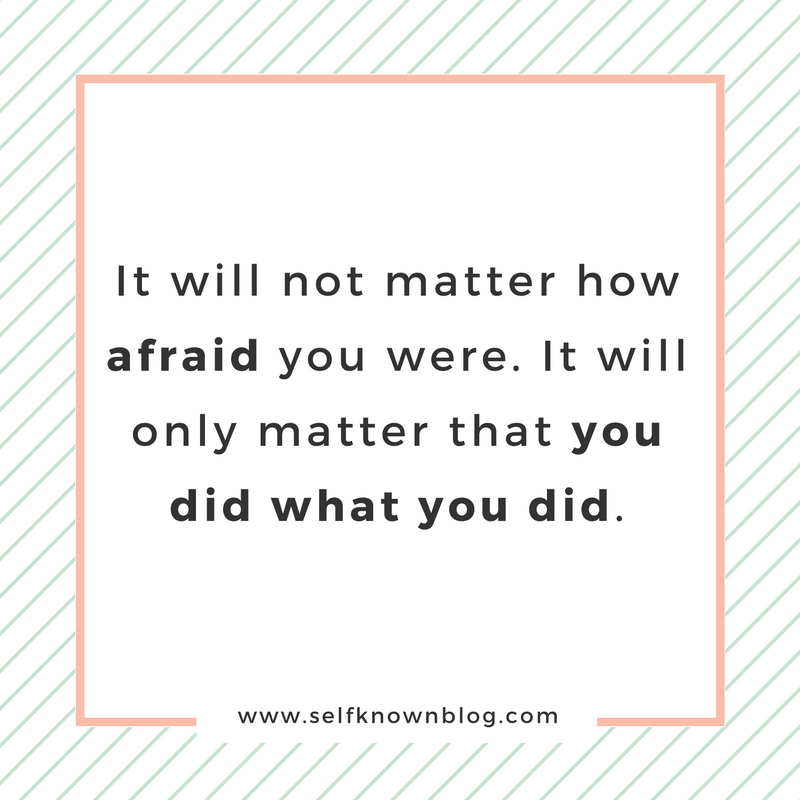 It will only matter that you did what you did. I want to get daily emails like this post.